Affordable school holiday fun! 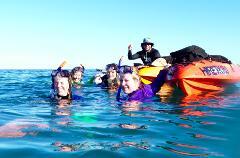 Check out this great school holiday kayak and snorkel gear hire special. Rent a double kayak and 2 sets of snorkel gear for a full day for only $90.